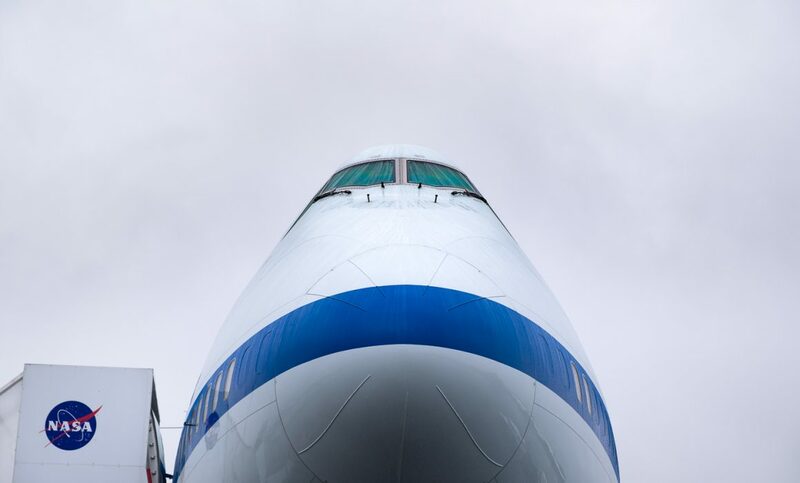 Every year, the world’s largest flying telescope visits New Zealand for a few weeks. 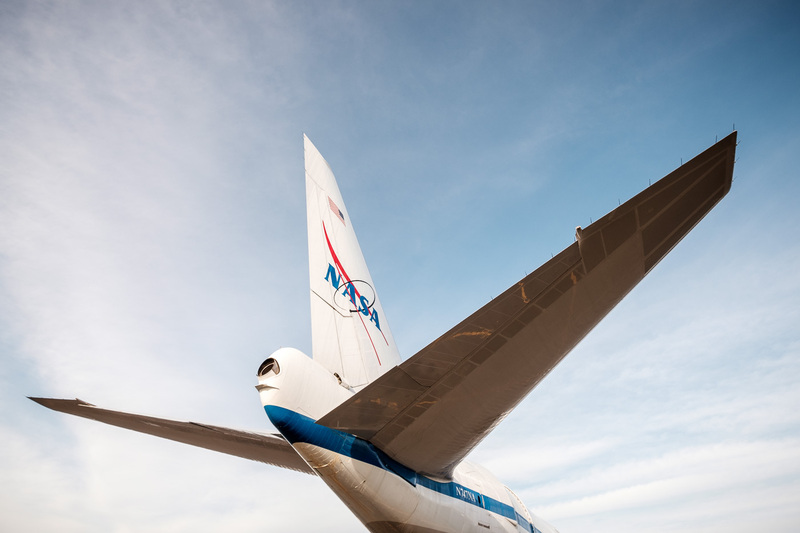 The Stratospheric Observatory for Infrared Astronomy ‘SOFIA’ is a joint project by NASA and Germany’s space agency DLR. 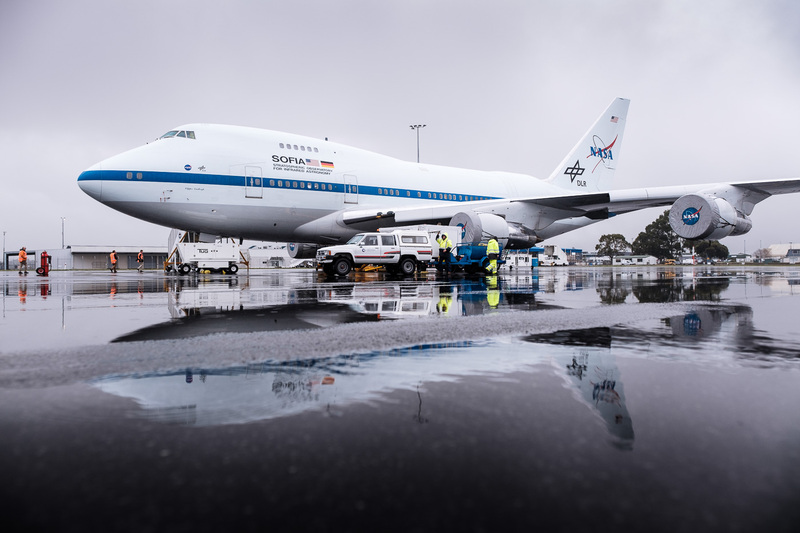 When observation conditions in the northern hemisphere become unfavourable every June and July, the SOFIA team relocates to the facilities of the US Antarctic Program in Christchurch. 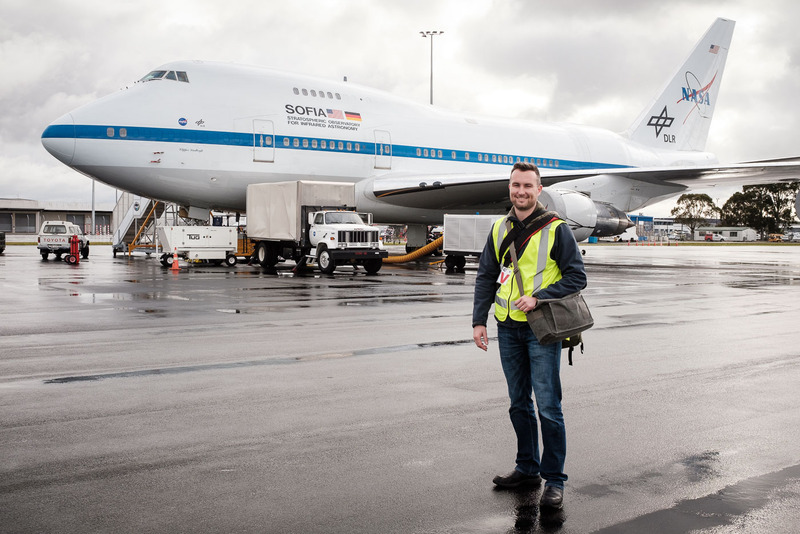 In June 2018 I had the opportunity to spend a few days with SOFIA’s scientists, engineers, pilots and support staff. The project started as a photo essay, but as my notes piled up, I decided this story deserved more than pretty pictures. The following blog series of my time with SOFIA’s team is the result. The original photo essay can be found under Gallery if you are in a hurry. Capturing this project presented a few unusual challenges. While daytime photography was possible with an assortment of standard zoom lenses, all in-flight photography had to be captured in extremely low-light conditions. To make matters worse, I avoided shooting off a tripod as much as possible to allow for more spontaneity. In the end I resorted to shooting fast Fujifilm prime lenses with the lowest possible shutter speeds the situation would let me get away with. Most of the aircraft is as dimly lit as a candlelight dinner, and so I used extremely high ISO settings that would have been impossible just a few years ago. 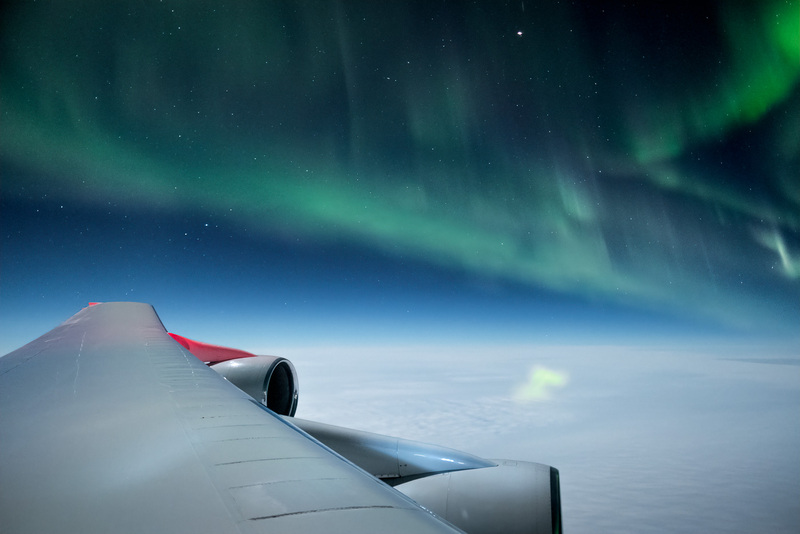 Images of the auroras were the toughest to capture. Most of the images are high ISO long exposures of around 2 seconds. Even using a tripod, a moving aircraft is not the most stable of environments for long exposure photography. Fortunately, the image stabilisation in my X-H1 worked wonders in keeping these shots steady. My lowest-tech piece of equipment that contributed to these images was a piece of black cloth to cover the window with. Some reflections in shape of ghostly blobs above the ocean found their way into the images anyway, thanks to the two panes of glass in the windows. Dennis Radermacher is a late convert to many things. After an IT career in his native country of Germany, the siren song of New Zealand drew him to the other side of the world. He has since found his true calling as a commercial and editorial photographer, educator and writer. When he is not capturing his new home’s beautiful land- and cityscapes, he likes looking up at the night sky, wondering what is up there. Excerpts of Rendezvous with SOFIA have been published in New Zealand Geographic. Copyright: All text and images are copyright of Lightforge and Dennis Radermacher. No reproduction or republication without my express permission. Copyright 2018. All rights reserved. Please contact me for image usage.